If you’re on this web page, you are most likely a trainee or are interested in becoming a trainee within the Florida Center for Inclusive Communities (FCIC). Trainees include undergraduate, graduate or doctoral students in a discipline such as psychology, education, public health, medicine, social work, or related disciplines. The Interdisciplinary Training Program provides an integrated education program that relies upon the interdependent contributions of a collaborating team of people. Team members may include people with disabilities and their families, health and allied health professionals, community providers, and educators and researchers representing a variety of disciplines. FCIC encourages trainees to review and use the resources available through the Association of University Centers on Disabilities (AUCD). AUCD not only provides resources developed by the UCEDDs and LENDs in the US and its territories, but also provides access to nationally developed resources and opportunities for trainee involvement, information about jobs in AUCD and other UCEDDs, access to webinars and other training, and information about fellowships and scholarships. Please review the FCIC Trainee Eligibility Flyer to learn more about the eligibility requirements for the Interdisciplinary Training Program at FCIC. One of the missions of FCIC and UCEDDs is to expand and influence higher education curriculum to impart knowledge on developmental disabilities to accomplish a shared vision of ensuring that all Americans, including Americans with developmental disabilities, participate fully in their communities. Independence, productivity, and community inclusion are key components of this vision. 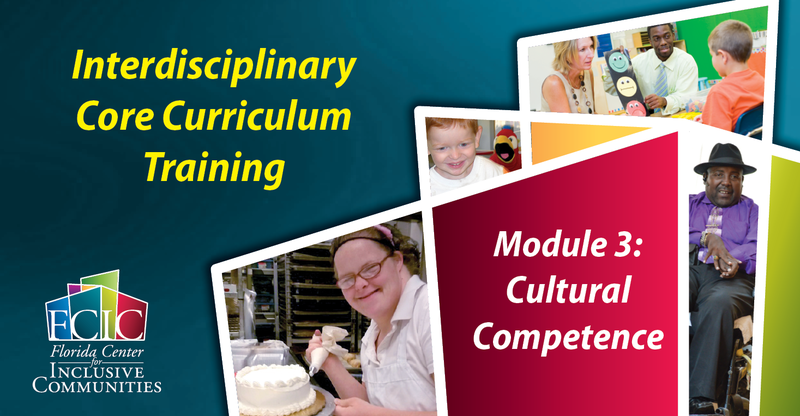 FCIC offers interdisciplinary training programs and activities that provide opportunities for students and professionals to learn more about how to promote the full inclusion and support of individuals with developmental disabilities within community through a core curriculum. For more information, contact Dr. Ferro. FCIC’s interdisciplinary training programs and activities revolve around a core curriculum that includes participating in any of the following FCIC programs and activities. The Ph.D. in Behavioral & Community Sciences is an interdisciplinary program that prepares students to conduct research to enhance the quality of life and productivity of individuals with social, emotional, and behavioral and socio-cultural challenges. Students working with FCIC faculty and mentors can design an individualized specialization program in the areas of developmental disabilities and positive behavior interventions & support. Students in these specializations work with faculty experts in the field with years of experience in leadership, research and evaluation, capacity building, training, and practice for and with individuals with developmental and other disabilities, and their families and communities. Areas of faculty research and evaluation include School-wide and Pyramid Model Early Childhood PBS, Competitive Employment for Individuals with Disabilities, Mental Health and PBIS, Functional Behavior Assessment and Individualized Behavior Supports, Evidence Based Practices, and social-emotional skills acquisition. The Master of Science degree in Child & Adolescent Behavioral Health (CABH) is designed to prepare professionals to serve in public and non-profit agencies and schools that work with diverse children and adolescents experiencing behavioral health challenges. The core curriculum focuses on evaluation and research, cultural competency, policy, and an introduction to child and adolescent behavioral health. 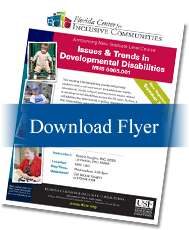 The concentration in Developmental Disabilities provides interdisciplinary training as well as research and application opportunities to meet the critical need for practitioners and administrators who can provide services for children and adolescents with both developmental disabilities and mental health needs. 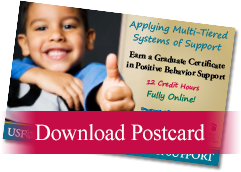 This online certificate program offers a 12 credit hour course of study designed to prepare individuals currently working in mental health, school psychology, school administration, education, early education, and social work to implement Positive Behavior Interventions and Support (PBIS) in school, early childhood, and community settings. The certificate program includes classes focused on providing consultation and guiding collaboration, implementing school wide positive behavior support, addressing behavior challenges in young children, and intensive individualized interventions. This exciting interdisciplinary course will provide students with a rich curriculum that addresses health, educational, social, cultural, and economic issues related to developmental disabilities across the life span. Further, it will address the latest trends in policy, legislation, and services that impact these very critical issues. This 3-credit course will be taught by interdisciplinary faculty, including guest speakers, individuals with disabilities, and family members involved in advocacy and policy efforts. Course components include: group projects focused on disability issues and improving the lives of persons with disabilities, interactive class activities highlighting current events related to class themes, a disability enriched curriculum with focused readings and lively class discussions. 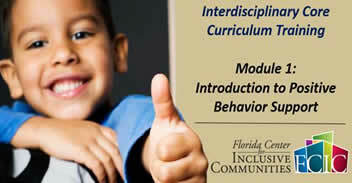 The Interdisciplinary Center for Evaluation and Intervention (ICEI; formerly USF FDLRS) is funded by the Florida Department of Education to offer interdisciplinary evaluations and interventions to students between the ages of 3 and 22 who present with serious behavior problems and complex social/emotional, developmental, learning, medical, and other co-occurring conditions. The primary focus of the clinic is to conduct functional behavior assessments and develop function-based support plans that are feasible and effective to be implemented in school and other settings. A secondary focus is to provide exemplary, comprehensive evaluations for students at risk for Autism Spectrum Disorders (ASD) and other developmental or psychological conditions. The clinic services are no-cost to the community and attempts to reach underserved individuals. Students can receive practicum experiences by participating on the clinic’s interdisciplinary team that includes professionals and graduate students representing the areas of psychology, behavior analysis, pediatrics, psychiatry, special education, social work, public health, and families. Article: An Innovative Clerkship Module Focused on Patients With Disabilities, from the American Association of Medical Colleges. Students accepted in the ABA Master's Program are eligible to apply to participate in Project EBAS, a $1.11 million grant funded by the U.S. Department of Education, Office of Special Education Programs (H325K170085). Project EBAS is designed to prepare high-quality scholars to serve as either Board Certified Behavior Analysts or School Psychologists who can contribute to the provision of focused instruction and individualized positive behavioral interventions and supports in an interdisciplinary team-based approach for school-aged children with severe emotional and behavioral disorders (EBD). Project ABA is a 5-year project funded by the U.S. Department of Education, Office of Special Education Programs. Its purpose is to prepare highly qualified school-based behavior analysts who can work collaboratively with educators and families to provide services for high-need children with autism at all grade levels. The project will prepare 4 cohorts of 5 students on a 2-year cycle to implement evidence-based practices in applied behavior analysis (ABA) and positive behavior support (PBS). Students will graduate with a master’s degree in ABA, a Board Certified Assistant Behavior Analyst certification (BCaBA), a PBS certificate, and be eligible to sit for the BCBA certification examination. The Applied Behavior Analysis (ABA) program and faculty are affiliated with FCIC. The Applied Behavior Analysis (ABA) Program is designed to meet growing needs in Florida and nationally for practitioners who can work effectively in the fields of developmental disabilities, education, autism, child protective services, rehabilitation, mental health, and business and technology. ABA provides an approach for developing, implementing, and evaluating practical strategies to produce changes in socially significant behaviors of individuals in the context of community settings. This interdisciplinary program was designed to create a comprehensive, cohesive degree program in applied behavior analysis to train students to become practitioners and researchers and as such provides coursework and practical supervision across three colleges (College of Behavioral and Community Sciences College of Arts and Sciences, College of Education) with faculty expertise in applied behavior analysis, psychology, and special education. Interdisciplinary trainees are mentored by FCIC faculty through individual studies, internships, practica, and thesis and dissertation committees. FCIC faculty represent a variety of disciplines, including psychology, education, special education, nursing, and public health. Find out more about FCIC core and affiliate at our web site. If you are interested in working with a particular member of the FCIC faculty, please contact them directly. If you are interested in more information about mentorship, FCIC programs, or becoming a trainee, contact Dr. Ferro. One elective is required in the PBS Graduate Certificate Program plan of study. Acceptable electives are listed on the PBS Graduate Certificate web site: http://pbs.cbcs.usf.edu/courses/index.cfm. If you wish to take a course that is not listed, you must request permission. 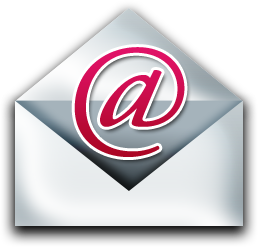 The Permit Request Form should be submitted when requesting to receive a permit to register for PBS certificate core courses. FCIC has limited resources to fund some costs for trainees who are presenting at conferences. Funding is limited to trainees who are actively involved in FCIC programs. Those trainees who are involved in more than one FCIC activity are given priority. To apply for funding, please contact jbferro@usf.edu. FCIC has some resources to fund posters for conferences or presentations. Funding is limited to trainees who are actively involved in FCIC programs. Those trainees involved in more than one FCIC activity are given priority. To apply for funding, please contact jbferro@usf.edu. As you begin your journey with FCIC and AUCD, these three Trainee resources, provided by AUCD, will help you learn, connect, get involved, and grow as part of the network. 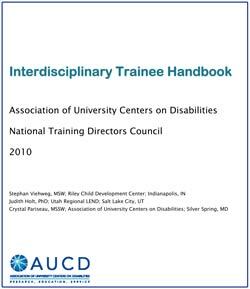 The AUCD Trainee Handbook is intended to be used to support AUCD network trainees with a variety of learning goals. This document will provide a consistent approach to accessing information about the network, its history, our federal partners, and the rich resources available to trainees. Learn about the national opportunities available to trainees including resources, conferences, trainings, scholarships and employment opportunities. Subscribe to Trainee listserve to discuss issues related to training! Become a Fan of "AUCD Trainees" to get the latest updates from AUCD. This webinar was originally Co-Hosted by AUCDs Mental Health Aspects of I/DD and Autism SIGs. The presenters are Dr. Judy Reaven and Dr. Audrey Blakeley-Smith. The talk provides an overview of a cognitive behavioral treatment (Facing Your Fears) to reduce anxiety in children/adolescents with Autism Spectrum Disorders (ASD).It willl carefully review the child and parent components of the treatment so that by the end of the webinar, participants would be familiar with specific strategies to reduce anxiety symptoms in this population. It will also describe how the program is currently being adapted for adolescents with ASD/IDD. Our Training Modules were designed to be part of the CORE Curriculum for FCIC Trainees. However, the modules are also a resource for those seeking more information about developmental disabilities. Modules may be completed by students, staff, members of the community, family, and persons with disabilities. Please direct questions to Dr. Ferro. The Interdisciplinary Training Program is pleased to announce the first of three core curriculum online training modules. The training includes a survey and certificate. Once you’ve completed both the module and survey, you can download the certificate. 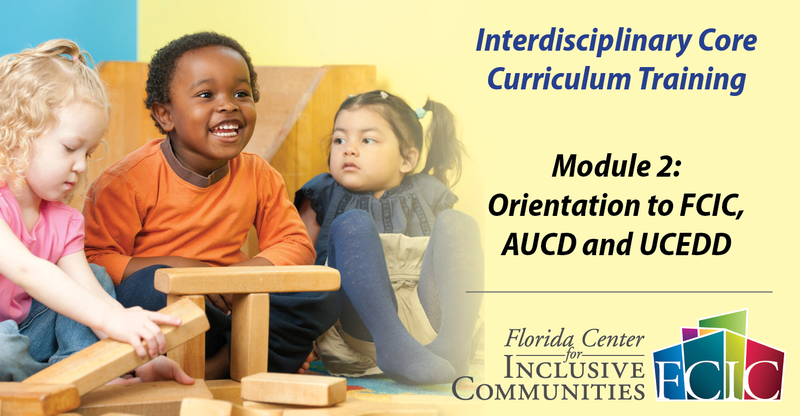 The second module in the core curriculum is an introduction to the Florida Center for Inclusive Communities, a University Center of Excellence in Developmental Disabilities education, research, and service. The module includes a survey and certificate. Once you’ve completed the module and survey, you can download the certificate. The third module in the core curriculum is a discussion about cultural competence. The module is designed to increase the knowledge and skills of professionals, practitioners, and community members related to cultural competence and its importance in Positive Behavior Support. Once you’ve completed the module and survey, you can download the completion certificate. 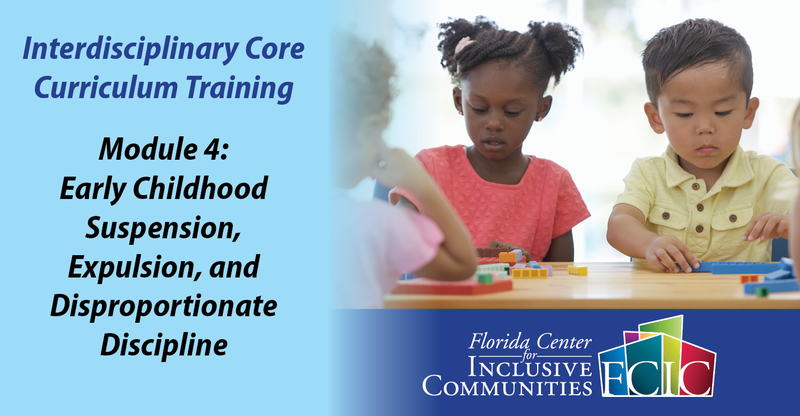 This is the 4th module in the interdisciplinary training core curriculum for trainees but is also available for community providers and parents who are interested in culture and equity in early childhood. If you are a trainee, you can substitute this module for the introductory module on cultural competence. 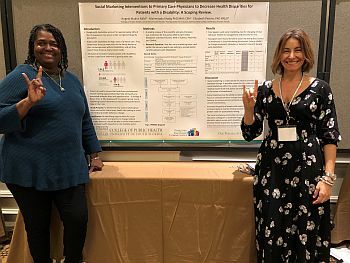 Once you’ve completed the module and survey, you can download the completion certificate..
Public Health graduate student and trainee, Angela Makris, presents at the AUCD 2018 Conference in Washington D.C.
Angela Makris, a trainee with FCIC, completed her Master’s in Public Health with a concentration in Social Marketing from the University of South Florida in 2018. As part of her research she presented a poster at the AUCD 2018 conference. Her poster, Social Marketing interventions to Primary Care Physicians to Decrease Health Disparities for Patients with a Disability in a Primary Care Setting: A Scoping Review, was received with great enthusiasm for its line of inquiry and innovative thinking around the topic of application of a systems approach to social and behavioral theory for person-centered health behavior change, prevention and wellness for people with disabilities. Tara Delach, a student-trainee in the School Psychology doctoral program, attended the Autism Diagnostic Observation Schedule 2 workshop (ADOS 2) at the CARD Conference in January 2018. The two-day workshop trained participants on how to use the ADOS 2 in clinical practice to assess and diagnose autism. Download Tara's Conference Summary Report. Elizabeth Lynch, a student-trainee in the ABA program, attended the Applied Behavior Analysis International Conference in May 2017. Her goal was to learn about evidence-based practices in combining ABA and PBS applications. Elizabeth's presentation provides an overview of the sessions she attended and some of the topics she considered important. Every year, we fund a few people to attend the ABAI yearly conference. In 2016, we provided funds for Kristina Bewley, a trainee from the ABA program, to attend this conference. Her goal was to learn about the newest research and interventions for working with individuals with autism and other disabilities so as to provide more effective treatment in the least restrictive manner. Kristina’s presentation provides an overview of the conference and some of the things she found most helpful. View a summary of Kristina's experience. 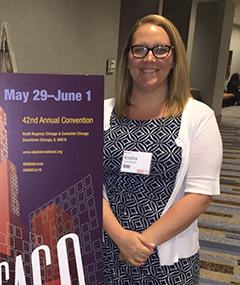 Taylor Naronzanick attended the 2016 ABAI conference supported by an FCIC travel award. Taylor’s presentation provides a short overview of the conference but also reviews the presentation she did of her research in which she compared video modeling with video modeling with video feedback. Although the research was performed with competitive dancers, this teaching strategy has implications for other populations as well. Click here to view a summary of Chris’ presentations. View a summary of Taylor's presentation. Gary Lam presented at the AUCD conference in December. Gary Lam is a doctoral student in the school psychology program at USF and also an FCIC trainee. Recently he presented a poster at the AUCD conference in December, which he attended through a trainee travel grant. The poster is about self-determination during the transition from school to adulthood for young adults with Autism across American and Chinese cultures. Those of you interested in advocacy, Autism, cultural differences, and self-determination should find something of interest in this presentation. Trainee Seth Van Zant at the American Public Health Association National Meeting on integrating disability into health services. Seth Van Zant is a student in the Morsani College of Medicine and also a trainee. He recently presented at the American Public Health Association National Meeting on integrating disability into health services. Seth has been working with Dr. Perkins to develop materials to help health professionals and individuals with disabilities and their guardians communicate more effectively. This presentation is a summary of that presentation. Chris Barclay, a PhD student in the School Psychology program at USF and a trainee at FCIC attended the Public Policy training in Washington, DC, by way of an Interdisciplinary Training Travel Grant. The training was a joint venture between NASP and George Washington University. Chris’ presentation is a report on his experience at this conference. Trainees Chris Barclay and Brittany Hearon received travel funds to present at the APBS Conference in San Francisco in March 2016. Both Chris and Brittany are school psychology students who work with the Florida PBS project. Chris reported on his thesis research into racial disparities in school office referrals and participated in a symposium presented by the PBS AWARE project, a collaboration with three Florida districts to increase access to mental health services within an MTSS framework. Brittany presented a poster on selecting tools for universal behavioral health screening. Click here to view a summary of Chris’ presentations. Click here for a summary of Brittany’s experience. For more information about the AWARE project, click here. 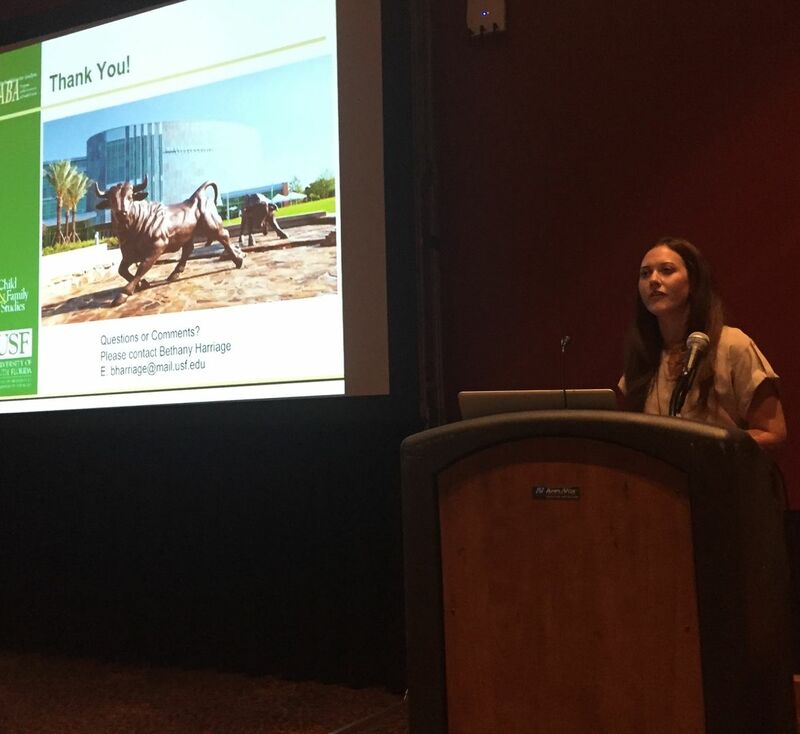 Sara Barnes, a master’s student in the Applied Behavior Analysis program, presented at the 41st Annual Association for Behavior Analysis International (ABAI) conference in San Antonio, Texas. She presented on the Prevent-Teach-Reinforce model and the application it may have when used for children with ASD. 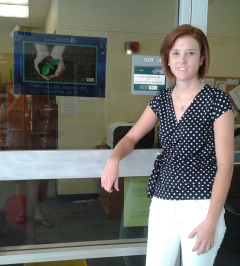 Sara is also in Project TSBA and involved with the Interdisciplinary Center for Evaluation and Intervention (ICEI). Trainee Lindsey Slattery received a travel award to present on safety skills at the 41st Annual Association for Behavior Analysis International (ABAI) conference in San Antonio, Texas. Lindsey is a doctoral student in the ABA program. 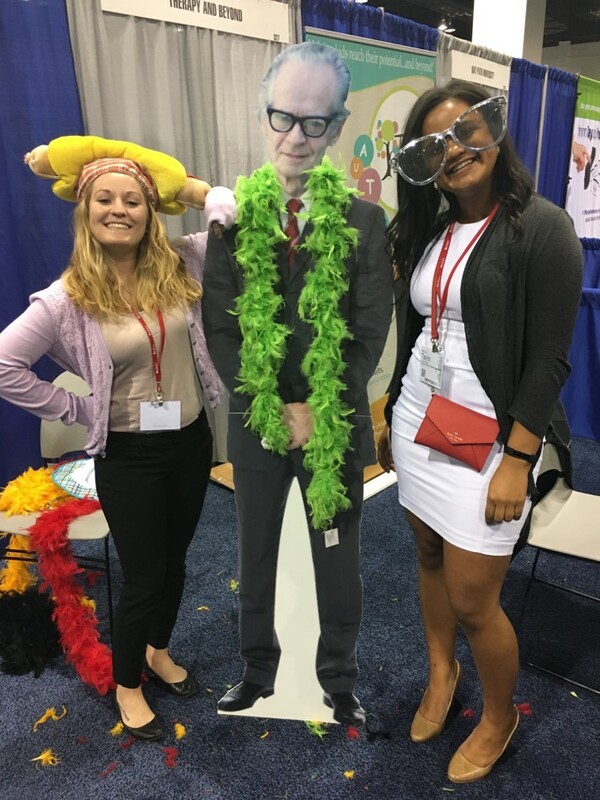 Anna Garcia and Sindy Sanchez attended the ABAI Annual Conference in May 2014. Both students are current trainees and are doctoral students in the ABA Ph.D. program. View Anna's presentation: The Verbal Aspects of Culture, Rules, Values, and Mores. View Sindy's presentation: Evaluating Check-In Check-Out with Peer Tutors for Children with Attention Maintained Problem Behaviors. “Being an FCIC Trainee has given me the opportunity to attend the National Training Institute, which provided a great amount of useful information that I will be able to apply to my job and share with other staff." “I firmly believe that the experience I have gained as a trainee, both the resources to the experience I receive at the ICEI clinic, has been so valuable and will continue to promote my development as a practitioner." To view each faculty’s video simply click on the play button and select the full screen option. To read a faculty member’s biography, click on their name under the video. 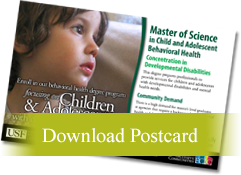 Did you know there are over 100 unique positions a master’s degree in Child and Adolescent Behavioral Health and a focus on Developmental Disabilities would be eligible to apply for? Watch the presentation above to learn more about the career prospects for graduates! of Excellence in Developmental Disabilities education, research, and service. The module includes a survey and certificate. Once you’ve completed the module and survey, you can download the certificate. Register for this module here.